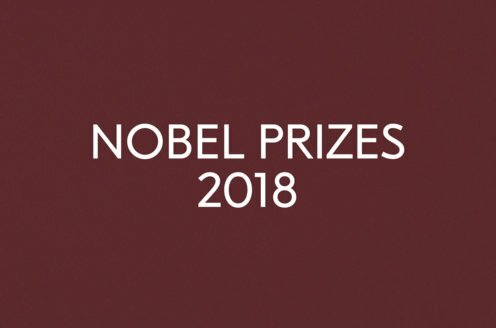 Through the Swedish Academy’s decision this year the Nobel Prize in Literature has for the first time been awarded to an Egyptian. Naguib Mahfouz was born and lives in Cairo. He is also the first literary Nobel Prizewinner with Arabic as his native tongue. To date Mahfouz has been writing for about fifty years. At the age of 77 he is still indefatigable. Mahfouz’s great and decisive achievement is as the writer of novels and short stories. His production has meant a powerful upswing for the novel as a genre and for the development of the literary language in Arabic-speaking cultural circles. The range is however greater than that. His work speaks to us all. The earliest novels are set in the Pharaonic milieu of ancient Egypt. But here already there are side-long glances at today’s society. A series of Cairo novels takes place at the present day. To them belongs Midaq Alley (1947). The alley becomes a stage, which holds together a motley crowd, all drawn with telling psychological realism. Mahfouz really made his name with the big Trilogy (1956-57). In the centre is a family and its vicissitudes from the end of the 1910s to the middle of the 1940s. The series of novels has autobiographical elements. The depiction of the individuals relates very clearly to intellectual, social and political conditions. On the whole through his writings Mahfouz has exerted considerable influence in his country. The theme of the unusual novel Children of Gebelawi (1959) is man’s everlasting search for spiritual values. Adam and Eve, Moses, Jesus, Mohammed and others, as well as the modern scientist, appear thinly disguised. It is the scientist who ultimately is responsible for the primeval father Gebelawi’s (God’s) death. Different norm systems are confronted with tension in the description of the conflict between good and evil. On account of the way in which higher things are treated the book could not be printed in the author’s own country but was published elsewhere. A Houseboat on the Nile (1966 – not yet translated into English) is an example of Mahfouz’s impressive novellas. Here metaphysical conversations are carried on in the borderland between reality and illusion. At the same time the text forms itself into a comment on the intellectual climate in the country. Mahfouz is also an excellent short story writer. In the volume of selected stories God’s World (1973) we get a very good view of what he has achieved in this field. The artistic treatment of the existential questions is forceful and the formal solutions often striking. There has been a tendency to divide Mahfouz’s writings into a number of periods, e.g. a historical, a realistic and a metaphysical-mystical. Naturally this has not happened without reason. However, the illumination throughout of human life in general should also be emphasized.